Submitted by ken on January 24, 2007 - 5:53am. 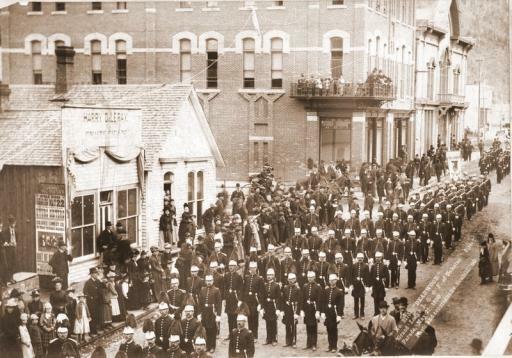 Deadwood Parade: Bystanders in the mining town of Deadwood in the Dakota Territory watch a group of uniformed men from the Grand Lodge I.O.O.F. [Independent Order of Odd Fellows] parade down the street on May 21, 1890. Photographed by John C. H. Grabill. 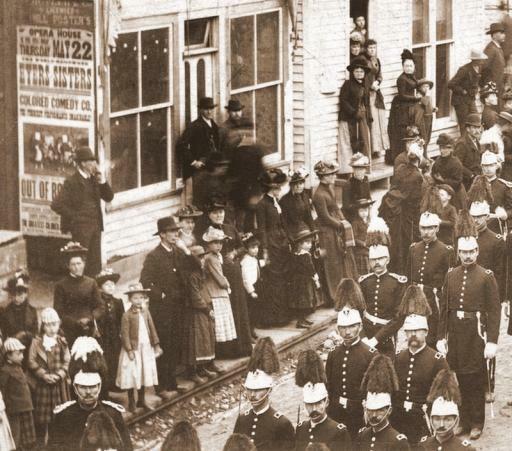 Deadwood Parade Detail: This detail shows somber-faced spectators. Come on folks, it's a parade. Note the Opera House poster on the wall advertising the Eyers Sisters and the Colored Comedy Co.
VINITA, Indian Territory, Nov. 17 -- The notorious Kep Queen, from Texas and Colorado, was killed near Claremore, in the Cherokee Nation, Last night by the District Sheriff, E. Sanders, and posse, and his body was brought to this city to-day. A week ago it became known that Queen and some of his outlaw followers were in the city. They were finally discovered in a cabin about a mile from the Dog Creek Court House. Last night the Sheriff made up a party and, going to the place, they secreted themselves about the premises. Submitted by ken on January 23, 2007 - 6:04am. 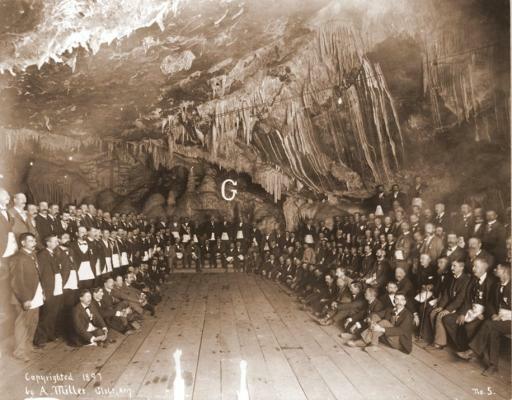 Meeting in the Copper Queen mine: Freemasons from the Masonic Grand Lodge of Arizona meet in a cave in the mine of the Copper Queen Consolidated Mining Company at Bisbee, Arizona, Nov. 12 1897. 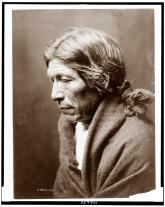 Photograph by A. Miller. Submitted by dave on January 23, 2007 - 5:30am. EARLY EXPLORATIONS AND THE PRESENT RICH MINES. TUCSON, Arizona, Dec. 21. -- The word contrast fails to convey any conception of the differences to be found between Arizona and anything in the East. Though smaller than New-Mexico by 5,000,000 acres, Arizona is still large enough to contain the States of New-York, New-Jersey, Pennsylvania, Delaware, and Maryland combined, and one of its counties, Yavapai, is about as large as the State of Maine. These contrasts are not confined to mere matters of size; they are found in every department of natural science and civilization.